A social media campaign I created and managed for a group of college students in Cleveland that wanted to shed light on parts of Cleveland that the Republican National Convention overlooked as well as how urban populations are affected by Republican ideologies. 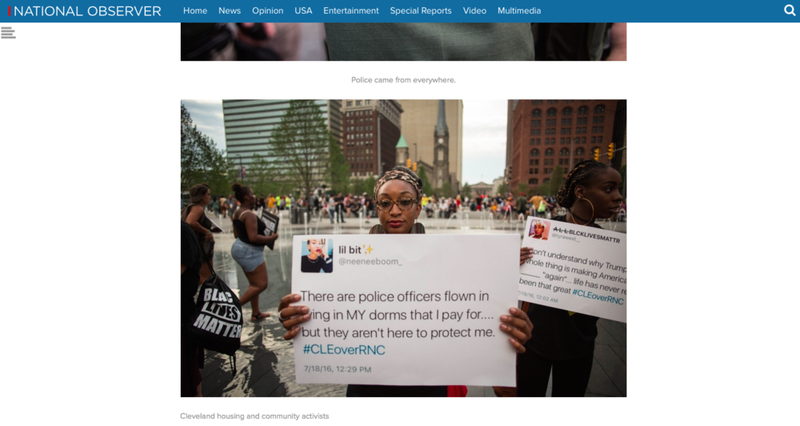 My job was to create a digital buzz about their on ground protest against the RNC. The campaign ended with a sit-in on Public Square during Donald Trump's speech. 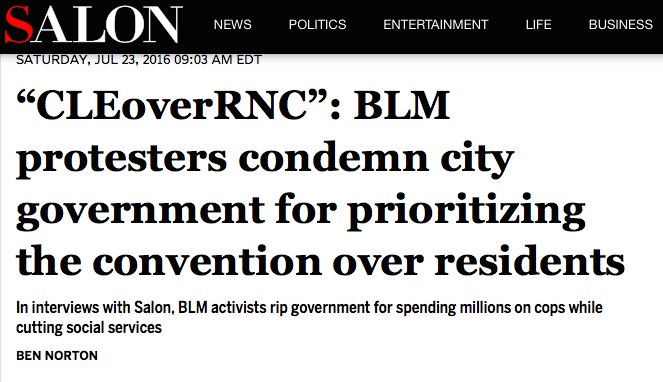 We blew up selected tweets from The sit-in received international press including coverage from The Salon, Times, and National Observer.